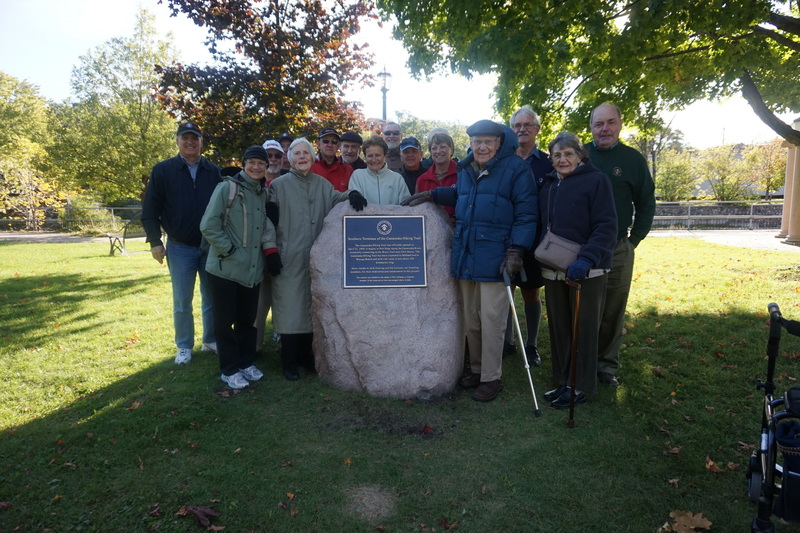 Unveiling of new plaque at the Ganaraska Trailhead in Port Hope on October 1, 2015. Attended by Jack Goering and Patricia Lawson (founding members of the association), President Bob Bowles of the GHTA and President of the Pine Ridge Hiking Club, Rita Zeran as well as several members of the Pine Ridge Hiking Club. Country roads and tracks north of Garden Hill. Meet at the Home Hardware parking lot, Toronto Rd., Port Hope at 9:30 a.m. to carpool. Bring a lunch and a drink. Rural Port Hope. Ganaraska Trail and unmaintained roads between the fourth and sixth lines. Meet at Gilmer’s Home Hardware parking lot, Toronto Rd., Port Hope at9:30 a.m. to carpool. Bring a lunch and a drink. Port Hope circuit. Meet at the Home Hardware parking lot, Toronto Rd., Port Hope at 9:30 a.m. for start of hike. Bring a snack and a drink. Concession roads in Hamilton Township (Morton Rd./Canning Rd. area). Meet at 9:30 a.m. at the Home Hardware parking lot, Toronto Rd., Port Hope to carpool. Bring a lunch and a drink. Hike the Waterfront Trail in Port Hope and a section of downtown Port Hope. Meet at the Town Hall parking lot, Port Hope at 10:00 a.m.. Bring a snack and a drink. Saint Anne’s West Loop. Rural road hike. Meet at the Home Hardware parking lot, Toronto Rd., Port Hope at 9:30 a.m., or at Hwy 45/401 commuter parking lot at 9:45 a.m., to carpool. Bring a lunch and a drink. Hike the “Ganny” from Canton to Cairn (Port Hope Town Hall). Meet at Port Hope Town Hall parking lot at 9:30 a.m. to arrange car shuffle. Bring a snack and a drink.